I had a great weekend in the country last weekend. I needed to unwind, relax and laugh. Thanks to my Hubby I got to soma lot of that. Sunday morning it rained. I love it when it rains at Star Hill. I love the sound of the rain in the trees as a storm moves toward the house, I love the smell. After the rain stopped, Hubby shocked me. He asked me if I wanted to go pick up pecans. I love that we have so much access to peaches, pears, dewberries, oranges and muscadines at the lake but I especially love the pecans. 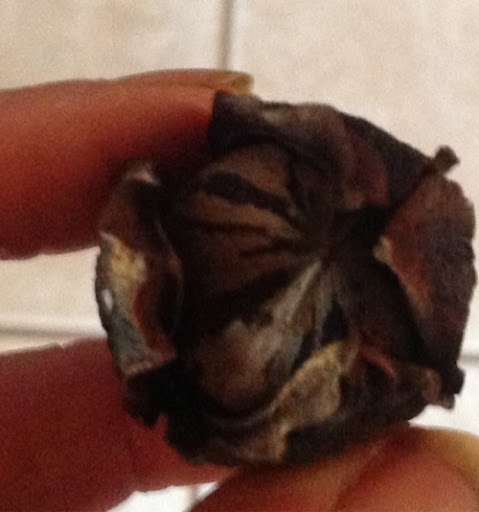 Pecan in the husk that surrounds the shell before they fall from the tree. 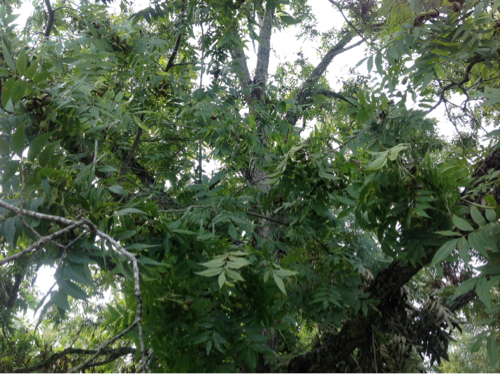 I love pecans but pecan trees are a mess. The drop a nasty sap on everything and they break with the least little windstorm. 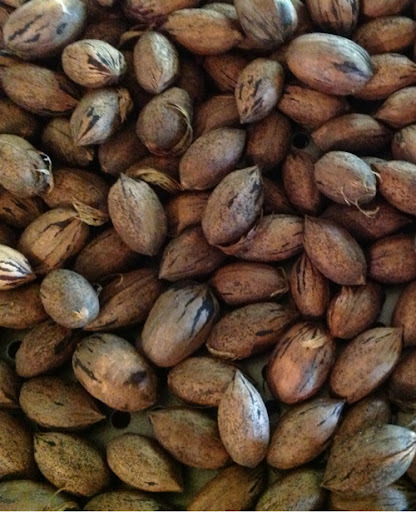 We have no pecan trees on our property. 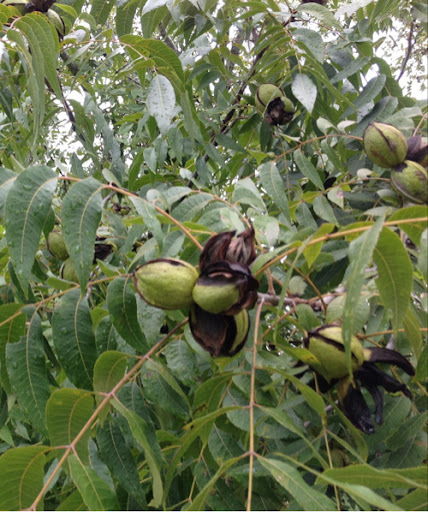 Several abandoned lots in our area have pecan trees on them as we’ll as some unused lake houses. By unused I mean no one ever comes to them. 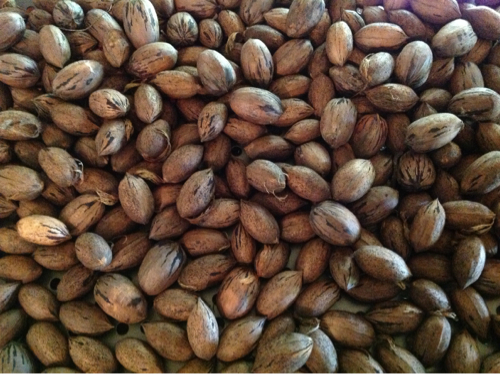 I still feel guilty when we go to pick up the pecans on these properties but Hubby is usually more embarrassed than me. Our first stop was in our neighborhood at a home that no one visits. We had to chase off two noisy squirrels to pick up pecans there. The next stop was at some property that is going to have a building built. These tress won’t be here next year. 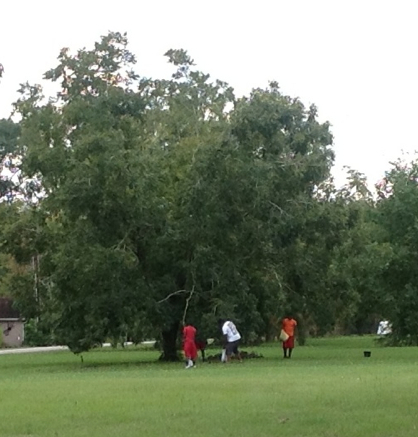 These trees were so full of pecans that the limbs touched the ground. We filled our sacks then came home to lay them out to dry. We will have pecan pies this holiday season! This was the top of our table. We were not the only ones out looking for pecans this past weekend.